Banff lies in the heart of the Canadian Rocky Mountains and promises memorable skiing and snowboarding and some of the most awesome scenery and breathtaking slopes. 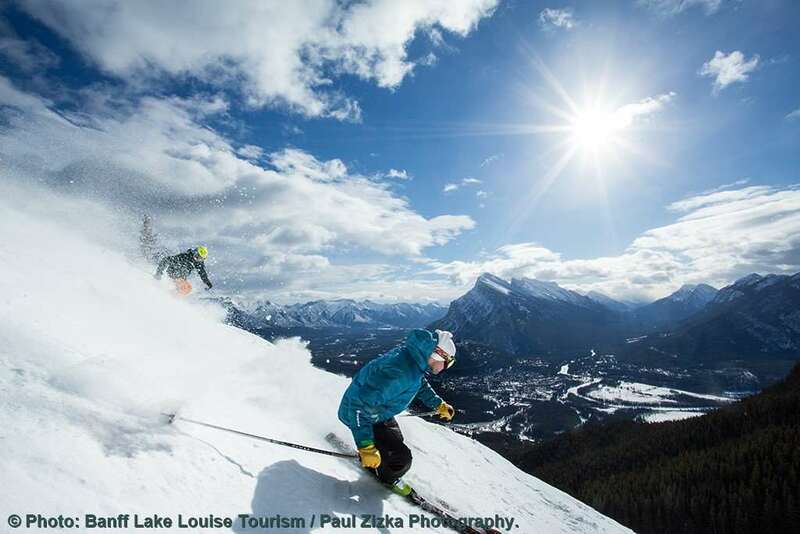 The ski towns of Banff and Lake Louise are home to the ski resorts of Mount Norquay, Lake Louise ski resort and Sunshine Village which makes up this incredible 'Ski Big 3' area. The 3 Canadian Rockies mountains boast 8000 acres of skiing between them and average 9 metres of snowfall annually. The skier areas are well proportioned to offer skiing for all ability levels - gentle slopes with excellent English speaking tuition for beginners; a variety of terrain and cruising runs for intermediates and long testing black runs for the advanced skier. 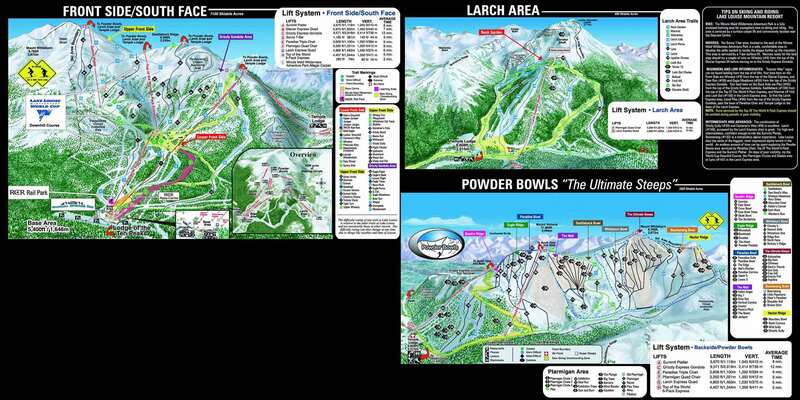 Each ski area has a unique character and the three are available on one convenient interchangeable lift ticket that includes frequent and easy shuttle transportation between the hotels and each ski area. Banff is the link town for the three ski areas of Banff Mount Norquay, Sunshine Village and Lake Louise which combined features more than 200 runs on 7,558 acres, or 125 miles of skiable terrain, of which nearly 25% is covered by snow canons. The 3 world-class ski resorts receive over 30 feet of snowfall on average each season. Canadian resorts open much longer than European ones and typically open in early November and operate until late May each year. Banff is 1½ hours from Calgary International Airport. I have been skiing since I was 12, the annual ski trip used to be somewhere in Europe, however in the last few years European snow has come later and later, in fact most of the European resorts are quite bare right now (December 15) and not looking good for January 16. So I decided that I would try Banff and since my first trip December 2010 it is my first choice ski destination, see below the reasons why: - Guaranteed snow - 3 great mountains to ski on, Sunshine Village, Mt Norquay and Lake Louise - Great food and cheap (currently $2CDN to &#163;1 sterling) even without the favourable exchange rate, it is still cheap. - NO massive queue's waiting for the chair lift's. As the ski area's are so vast, most of the chair lifts have no queue's plus the queue areas are wide, unlike Europe where 4 queues funnel into two or less, so you have no need to get your elbows and poles out to muscle through. - Great ski buses to relax on for the 30 minute/45 minute ride in and out of the resort (Norquay is about 10 minutes) Plus the Canadians are polite, helpful and speak english. Yes it's an 8 hour flight, but it's worth the travelling for the snow, 9 times out of 10 you wake up to a powder day!!!! Banff town is a short walk from most hotels and the variety of restaurants is fabulous and the quality and service is excellent, remember to tip 10 - 15% of the bill, it's common practice, then again the servers are attentive, polite and very helpful. Only major issue, it gets darn cold with wind chill, last year (2014) on Goats Eye mountain it was -45 degress, yes - 45 so no time to sight see...... So if you are fed up with Europe, worried the snow covering is limited then hop on the plane and get to Banff, you will not be dissapointed. I've recently come back from a 11 night snowboarding trip to Banff, Canada and I have to say what an amazing experience it was. Booked with iglu nearly a year before I went, they were superb at giving info all the way up to getting on the plane. I stayed at the Caribou which was excellent for the money. Decent size rooms, quiet and comfortable, The Keg was great for breakfast too, always big tasty portions. The 3 mountains are easy to get to, only sunshine doesnt pick up outside the hotel, but its easy enough to get on the free roam bus that takes you to Sunshines bus. Lake Louise and Sunshine are both superb, Sunshine is great due to the open-go anywhere pistes, while Lake Louise has great tree line runs. The first track lessons with Inghams at Lake Louise are superb, Tanya the instructor helped loads, and it only cost 100$ between two of us! Banff itself is excellent, lovely food, honest, friendly people and beautiful. Id recommend Saltlik and Tacino for great food, and Eddies burgers for the best burgers ive ever had! Kobe beef is amazing! If youve got a day off, take a stroll up tunnel mountain for great views or visit the excellent hot springs. I also recommend going to bow falls as its gorgeous and there is a good pub behind the Springs hotel called The Waldhaus. All in all a great place to snowboard, amazing champagne powder and i'll definitely will be going back.